Ace Shootout: Meet Team Basketball – Ace Hardware Corp. This is the first in a series of posts featuring each celebrity team playing in the 2018 Ace Shootout premiering on March 26, 5:00 p.m. EDT on Golf Channel. 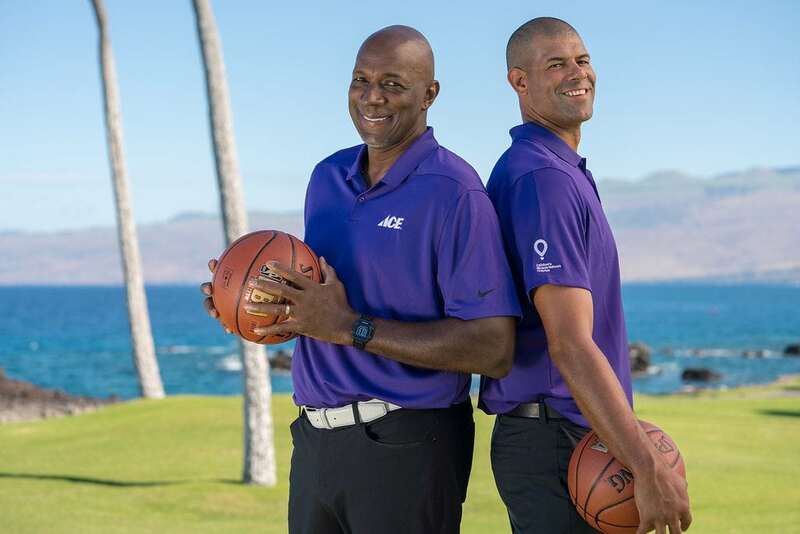 First-time Ace Shootout players Clyde “The Glide” Drexler and Shane Battier make up Team Basketball this year. Clyde Drexler is a 10x All-Star and was named one of the “50 Greatest Players in History by the NBA in 1996. He led the Houston Rockets to an NBA Championship in 1995 and played for the gold medal-winning U.S. Olympic team in 2002. Clyde is playing for Texas Children’s Hospital. Shane Battier played 13 seasons in the NBA for the Grizzlies, Rockets and Heat. He played for the 2x NBA Champions Miami Heat. While in college at Duke, Shane received the John R. Wooden Award in 2002. Shane is playing for Nicklaus Children’s Hospital. You can vote for Clyde or Shane as your “Fan Favorite” at AceShootout.org. The player with the most votes will receive a $10,000 donation for the hospital they represent. Special thanks to Milwaukee Tool for sponsoring this year’s Fan Favorite online voting.